Millions of people are affected by love handles, but don’t fully understand the most common love handle causes. Low handles occur when the body retains excessive amounts of fat around the hips and abdominal area, which can have an impact on both body shape and self-confidence. While excessive fat can accumulate anywhere around the body, there are certain known love handle causes that can increase the likelihood of developing these particular deposits. For example, one of the most common of all love handle causes is the aging process – belly fat accumulation often intensifies with age. In addition, lack of physical activity can increase the likelihood of developing love handles, as can sleep deprivation, dietary imbalance and a variety of underlying medical conditions. The good news being that in all instances, it’s perfectly possible to reduce or even eliminate love handles entirely, without the need to resort to invasive cosmetic surgery. Book your consultation with HSA Dermal Clinic today for more information. Contrary to popular belief, advanced and effective love handle treatment in London doesn’t have to mean going under the knife. If you’d prefer to avoid invasive cosmetic surgery entirely, we can provide you with London’s most capable and accessible alternative to love handle treatment options, with absolutely no invasive surgery required. 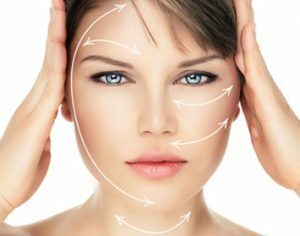 Our state-of-the-art techniques focus on the rejuvenation and reshaping of problem areas of the body, using advanced laser technology, clinically proven skin resurfacing techniques, IPL and a variety of other safe and effective treatments. Irrespective of the nature and severity of the issue, we’ll guide you through an extensive range of alternative love handle treatment options to suit your requirements and budget. Though often seen as inevitable, there’s no reason to allow love handles to have an impact on your self-confidence or quality of life. Fight back today, with the help of London’s most reputable team of specialist dermatological clinicians.